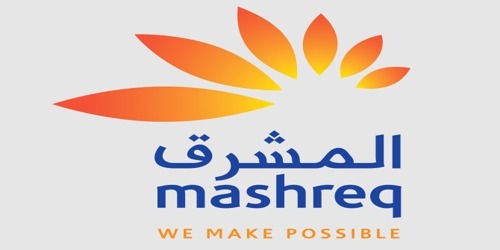 It is a broadly described annual report of Mashreq Bank in the year of 2012. During the financial year, Total Assets of the Bank stood at AED 76,383,300 billion as against at AED 79,241,322 billion. Total Assets ratio stood at 27.4% at the end of 2012. Deposits of the Bank AED 5,982,708 billion against at AED 7,223,370 billion. The Total Operating Income in 2012 reached AED 4.1 Billion, a growth of 5.5% over 2011. During the year, Profit before taxes of the Bank AED 1,402,550 million. Profit of the Bank for the year 2012 AED 1,370,636 million. As of 31st December 2012, 169,076,975 ordinary shares of AED 10 each (31st December 2011: 169,076,975 ordinary shares of AED 10 each) were fully issued and paid up. The Board of Directors of the Bank has proposed a cash dividend of @38% which will keep dividend payout ratio below @50% of profit during the year ended 31st December 2012.